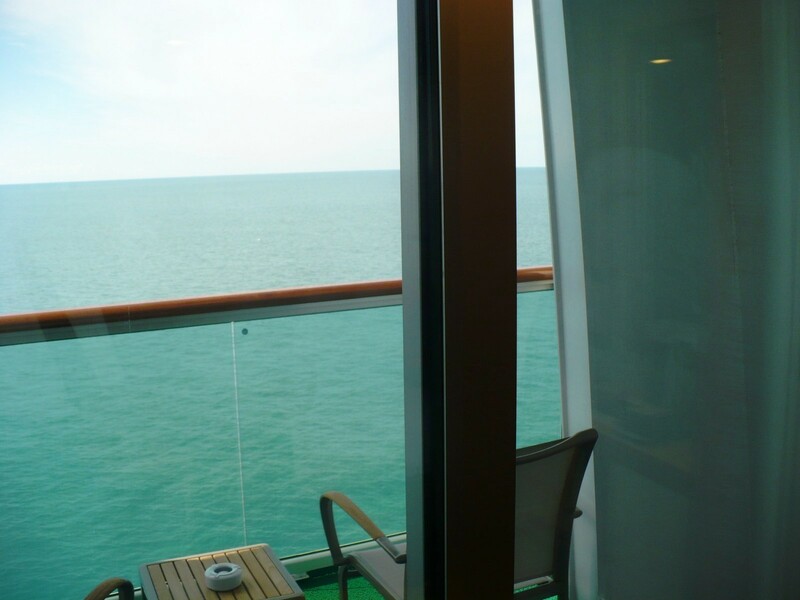 P&O Cruises | Frequently Asked Questions | Meet The Fleet - What do the obstructed views look like on Ventura? You are here: Home > Advice centre > Obstructed Views > What do the obstructed views look like on Ventura? Q. What do the obstructed views look like on Ventura? 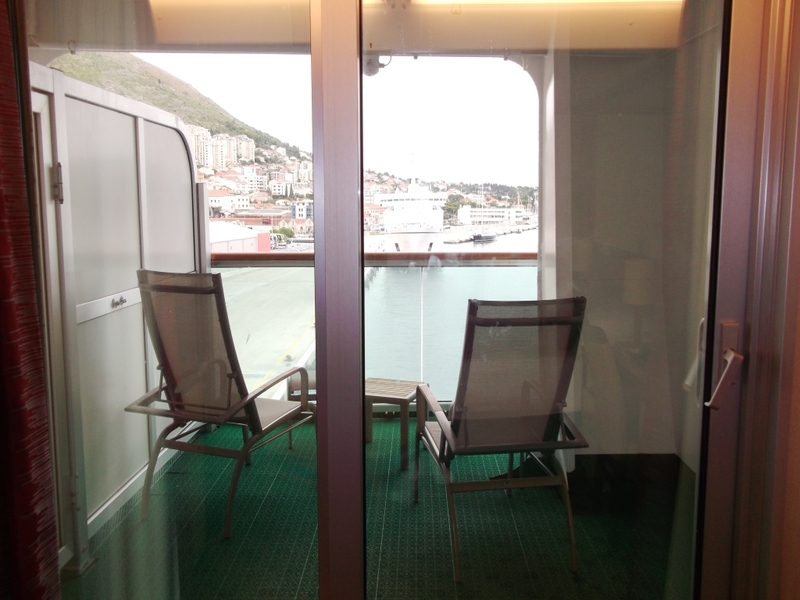 Please see below for examples of the views from these obstructed view staterooms. 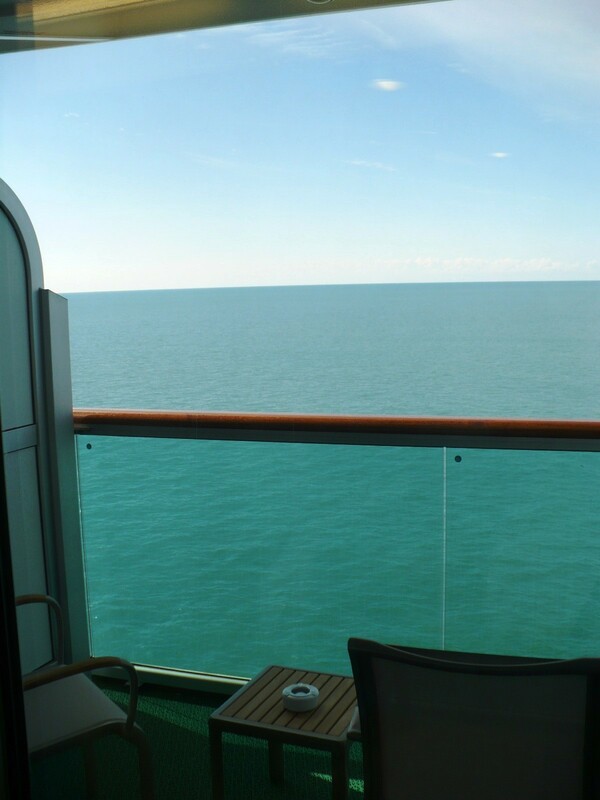 B753 - Ship structure to the right of the balcony. View 2 & View 3 shows the structure is to the far right and view 4 shows the open space of the balcony. B752 has the same obstruction, however the steel pillar will be on the opposite side (will be on the left side of the balcony). B570 has the same obstruction, the steel pillar will be slightly off centre to the left when looking out from the balcony door. 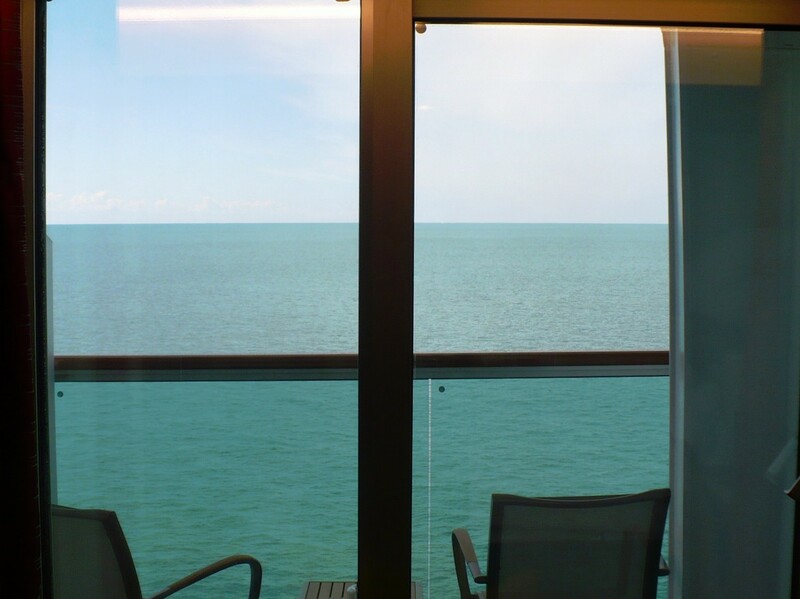 C750 & C751 - Ship structure to the left of the balcony. E102 - Public balcony obstructs bottom half of view. E106 - Public balcony obstructs bottom half of view. E110 - Public balcony obstructs bottom half of view. E114 - Public balcony obstructs bottom half of view. 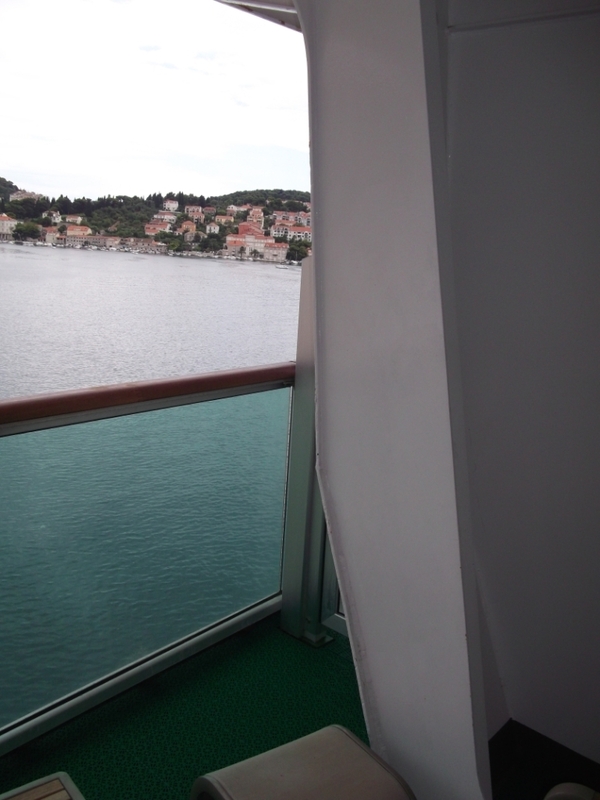 E118 - Public balcony obstructs bottom half of view. 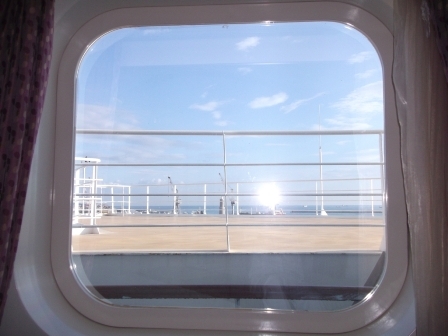 E120 – Life boat obstructing bottom half of view. 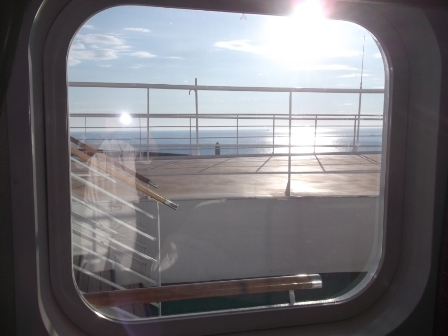 E208 – Minor obstruction of Life raft cables. E217 - Life boat obstructing most of the view on the left hand side with ships structure obstructing the view to the right. E302 - Life boat obstructing the lower half of the view. E305 - Ship structure obstructing left hand side view and life boat to the right. E306 - Life boat obstructing bottom left corner and large chain and metal structure on the right. E307 - Bottom half obstructed by life boat. E308 - Life boat obstructing small section at the bottom of the window. E309 - Bottom half obstructed by life boat. E315 -Chain and metal structure to the left and life boat to the bottom half of the right hand side. E317 - Bottom half obstructed by life boat. E318 - Life boat obstructing bottom left corner and large chain and metal structure on the right. E319 - Bottom half obstructed by life boat and right hand side view obstructed by ship structure. 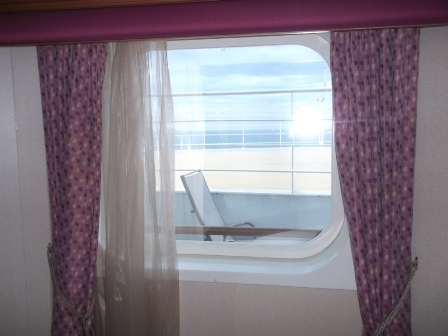 E320 - Life boat obstructing small section at the bottom on the window. E321 - Life boat obstructing most of left hand side and large chain and metal structure to the right hand side. 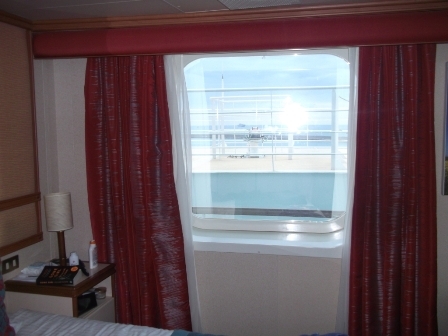 E322 - Life boat obstructing small section at the bottom on the window. E323 - Some vertical poles causing minor obstruction to the view. E324 - Life boat obstructing most of right hand side and large chain and metal structure to the left. E325 - Metal structure to the right and some metal poles causing small obstruction. E326 - Some vertical poles causing minor obstruction to the view. E327 - Part of a tender boat blocking majority of the view. E328 - Metal structure to the left and some metal poles causing small obstruction. E330 - Part of a tender boat blocking majority of the view. E401 view 1 - Clear when looking ahead. E401 view 2 - Some poles blocking view when looking down. E401 view 3 - Ship structure and rescue boat on the left hand side. E403 - Small circular obstruction at bottom of window. E408 / E409 - Ship structures obscures almost all of the view. E407 / E410 - Ship structures obscures almost all of the view. E411 view 1 - Small structural obstruction when looking straight ahead. E411 view 2 - White metal & MES station obstruction when looking to the left. E418 - Some thin metal poles causing a minor obstruction. E419 view 1 - Small metal obstruction missing the edges and a white metal pole causing minimal obstruction when looking forward. E419 view 2 - When looking to the right there is a life boat. E420 - Life boat to the bottom left and metal structure with large chain to the right. E421 - Life boat to the bottom right and metal structure with large chain to the left. E422 - Life boat obstructing bottom half of view. E424 - Life boat obstructing bottom half of view. E425 - Life boat obstructing bottom half and ship structure on the right hand side of view. 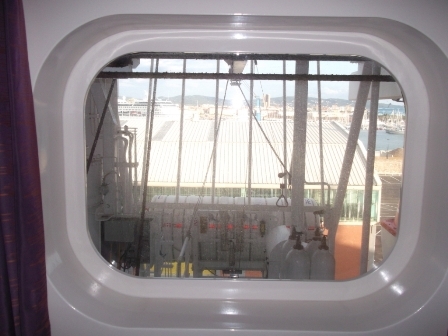 E501 - Top of window obstructed by metal structure and life boat blocking the bottom left. E502 - Metal structure blocking top of window and life boat blocking some of the right. E503 - Metal structure blocking top left, chain down the middle and life boat to the right. E504 - Metal structure blocking top right, chain down the middle and life boat to the left. E505 - Life boat obstructing bottom half of view. E506 - Life boat obstructing bottom half of view. E507 - Life boat obstructing bottom half of view. E508 - Life boat obstructing bottom half of view. E509 - Life boat blocking most of left, with metal structure and chain to the right. E510 - Life boat filling most of view and metal structure in top left corner. E511 - Metal obstruction at the top, chain through the middle and life boat blocking small area to the right. E512 - Life boat to the left, chain through middle and metal structure blocking section at the top. E514 - Tender obscures a majority of the view. E515 - Tender obscures a majority of the view. E516 - Tender fully blocking the view. E517 - Tender fully blocking the view. E518 - Tender fully blocking the view. E519 - Tender fully blocking the view. E520 - Tender blocking a section at the right of the view with ship structure blocking some of the view to the left. E521 - Life boat on the left, supporting chains and poles through the middle and metal structure to the right. E601 - Metal obstruction at the top, chain through the middle and life boat blocking small area to the right. E602 - Life boat to the left, chain through middle and metal structure blocking section at the top. E603 - Tender obscures a majority of the view. E604 - Tender obscures a majority of the view. E609 - Tender obscures the left hand side with ship structure blocking some of the view to the right. E610 - Tender obscures the right hand side with ship structure blocking some of the view to the left. E611 - Metal obstruction at the top, chain through the middle and life boat blocking small area to the right. E614 - Tender obscures a majority of the view. E615 - Tender obscures a majority of the view. E620 - Tender blocking a section at the right of the view with ship structure blocking some of the view to the left. E621 - Tender blocking a section at the left of the view with ship structure blocking some of the view to the right. E623 - Metal structure blocking top left, chain down the middle and life boat to the right. E630 - Small metal pole through the middle and some wire and metal work to the right. 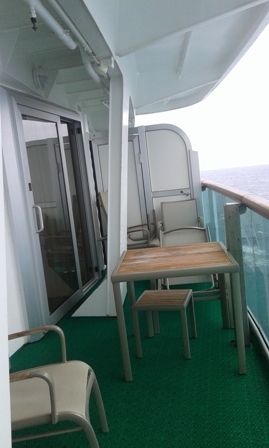 E631 - Minor obstructions with cables and a pole down the middle of the view and ship structure on left hand side. E703 view 1 - When looking up, there is a small metal obstruction to the top of the view. E703 view 2 - When looking to the right there is a large metal obstruction. E704 - There is a small metal pillar to the left. E735 view 1 - Looking out from the cabin there is a pillar to the right. E735 view 2 When looking to the right whilst on the balcony. L101 - Observation deck obstructing top view. L102 – Observation deck obstructing top view. L103 - Observation deck obstructing top view. L104 - View of restricted area on top of bridge. L106 - View of restricted area on top of bridge. L107 - Observation deck obstructing top view. 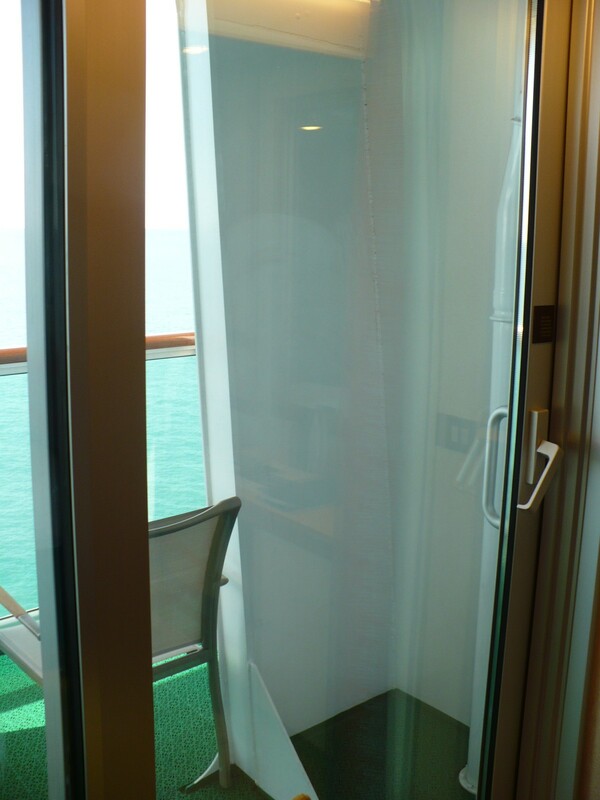 If you cannot find the stateroom you are looking for, please see "What do the obstructed views look like on Azura?" as the ships are identical and have similar views.